RHC Hosting Review 2019: Is RHC Hosting a Good Hosting? 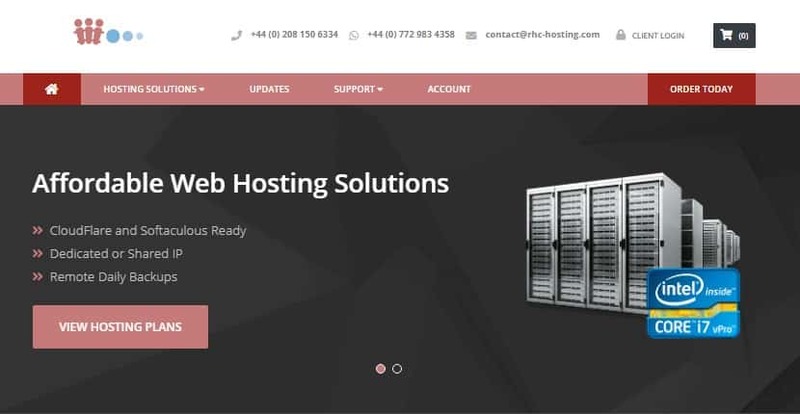 Established in 2008, RHC Hosting has been providing web hosting solutions to small and medium-sized businesses in the United Kingdom for over a decade. The web hosting plans that this vendor offers are best suited to beginners, especially users creating their very first website. RHC Hosting is a web hosting provider based in the United Kingdom. They’ve catered to the web hosting needs of small and medium-sized business in the U.K. and beyond since they began their operations in 2008. Since their inception, they’ve become a reputable hosting vendor of stable and secure services for both personal and professional websites. RHC Hosting’s Linux shared hosting plans, in particular, have very few features. For instance, only their highest-tier shared hosting plan, the MGSILVER-PRO plan, includes a free domain registration. It’s unclear how many scripting languages they support beyond PHP, and you’ll only get a 99% uptime guarantee as opposed to the industry-standard 99.9%. Beyond that, the vendor promises that your account will be activated within ten minutes of making payment, and that your data will be kept safe by way of their advanced security protocols. RHC Hosting uses advanced firewalls that can quickly detect incoming attacks and system vulnerabilities, and software and hardware updates are regularly performed on the backend. RHC Hosting’s plans are quite cheap, but they have very few features included. This is especially so with their Linux shared hosting. Fortunately, they don’t charge any setup fees, nor do their plans come with a contract, so you won’t be tied down for long periods. RHC Hosting customers enjoy dedicated 24/7 technical support. You can get in touch with their support team through live chat, email, telephone, or their ticketing system. They also have active social media channels. This host’s knowledge base is well-populated and organized, making it easy to navigate. If you’re a RHC Hosting customer, you’ll be assigned to your own dedicated technician, who’ll be available to you via Skype or telephone. My experience with this vendor’s support was quite pleasant. The representative I spoke with was patient and understanding, and seemed to be quite knowledgeable in the issues that I brought up. For small business owners who want a hosting solution with a personal touch – including a dedicated technician to help you through the whole process – RHC Hosting is a great hosting vendor to consider. The company also offers VPS hosting and dedicated servers, so while their shared hosting packages are limited, you can always scale up your plans later on. Wondering how RHC Hosting stacks up against other Web Hosting companies? Enter any other Web Hosting company and we will give you a side-by-side comparison.